Vd. Joyal Patel Working as a Assistant Professor, Department of Shalya Tantra, Shree Gulabkunverba Ayurveda Mahavidyalaya Gujarat Ayurved University , Jamanagar. He achieved first rank in PG entrance examination in Gujarat state. His area of interest is Anorectal disorders , urinary tract disorders non-healing ulcers etc. He is working as a coordinator of Kshara Sutra Certificate course, USCE, GAU,JAMNAGAR. The Mootraghata is a board term and it can be considered as a syndrome, because it covers most of the the pathological entity system into of the pathological entity of the urinary system into twelve/thirteen types. 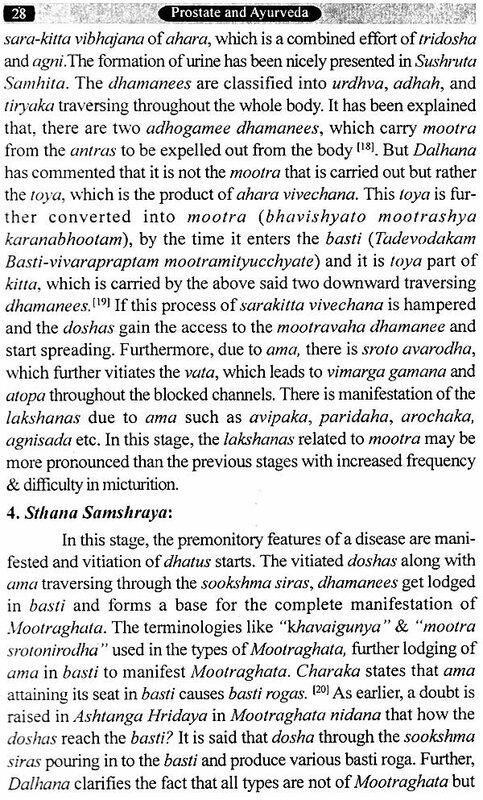 So, it the need of time to evaluate and correlate it with the modern parlance for better understanding of the concepts propounded by learned Acharyas. 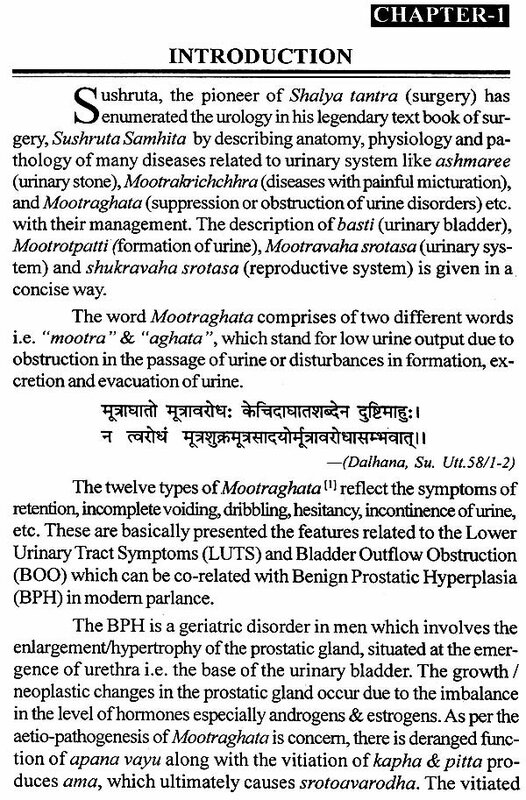 The twelve types of mootraghata reflect the symptoms of retention , incomplete voiding , dribbling , hesitancy , incontinence of urine, etc. 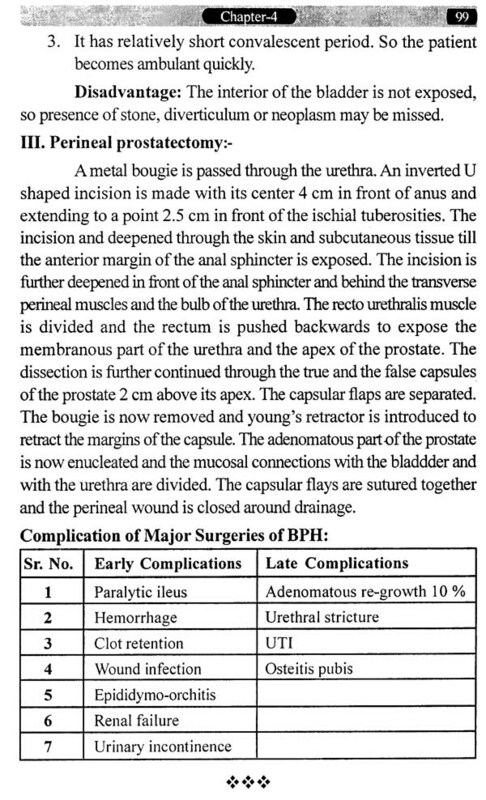 These are basically presented the features related to the lower urinary tract symptoms (Lust) and may be co- related with the disease benign prostatic hyperplasia (BPH) in modern parlance. In the present era of globalization, advance technology and mechanical life style leads to manifestation of many diseases i.e. hypertension, diabetes mellitus, AIDS, ulcerative colitis etc., of which the direct description and co- relation with Ayurvedic parlance is available. The Benign Prostatic Hyperplasia is an old age related problem in man which involves the growth of the urinary bladder. The growth / neoplastic changes in the prostatic gland occur due to the changes in the level of hormones specially androgens & estrogen. The persent book is divided into four sections i.e Introduction, Historical review , Ayurvedic review , and modern review . In first sections introductory information has been described about mottraghata and bph. In second section historical background of the pouraush granthi , urine formation, rising of urology and mootraghata and both. 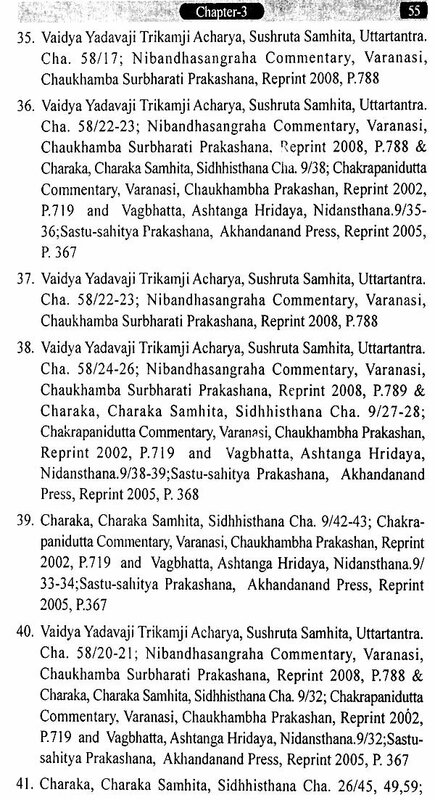 In second section historical background of pouraush granthi , urine formation, samhita period , samgraha period, and other texts of the Ayurveda describe. In third section modern concept of BHP described. The author’s efforts are admirable in comprehending the comprehending the concept of Ayurveda and modern science. It is a matter of appreciation that Vd. Joyal patel has written such an excellent book will at this young age and he is really entailed a lot of congratulations. This books definitely be useful as a reference books to the undergraduate as well as post graduate students of Ayurveda.